The book Man Made the Chronicles of our Extraterrestrial Gods by Dr Rita Louise and Wayne Laliberte is a fascinating look back into our ancestry when it comes to religion, myths and maybe even extraterrestrials. Man Made may open the minds of skeptics and believers as to who or what influenced our ancestors. It will take you way back and remind you of myths taught in college and passages from the bible and other religious readings. There is a brilliant cross cultural intertwining of stories from a wide variety of times and cultures. No matter what your belief system may be as to how you got here they may leave you searching for more answers. The book while informative and complicated is well organized and put together so reading it is easy and enjoyable. The book starts with information from the passages of the Bible and goes from there into other readings. Much of mythology is covered and Man Made shows how romances, violence and even conspiracies occurred even then. Out of all the vast array of stories they decided to focus on the ancient ones only to then add current technological information to show corresponding information which ties it all together. Dr. Rita Louise is a guest speaker at many events, including paranormal conferences. If you would like to listen to her speak and meet her face to face with questions than visit with her and listen in on her readio show or check her schedule of events. Some biographical information about Dr Rita Louise taken from her many websites – At the age of 12, Rita Louise, Ph.D. became fascinated with the concept of extrasensory perception (E S P), a passion which has lasted a lifetime. After years of intense study and in-depth research into the fields of health and wellness, psychology, philosophy and the esoteric arts and sciences, she has emerged as a leading voice in the fields of holistic health and mind/body healing. insights bridge the worlds of science, spirit and culture and are changing the way the world views physical, mental and emotional health. ancient history and the possibility of ancient alien contact. Man Made by Dr Rita Louise the chronicles of our extraterrestrial Gods – a very interesting book. The story takes place in the Bridgewater Triangle. This is an area known to paranormal researchers to be filled to the brim with activity. It’s the Bermuda Triangle on land. Stories about activity go back centuries. Only this time the story surrounds a small town, Freetown and a paranormal investigative group, N.E.P.R. They are a real group in real life and founded by co-author John Brightman. During an investigation into the Bridgewater Triangle, N.E.P.R. bumps into something more evil that what’s expected during the course of the normal everyday investigation. It wouldn’t surprise any of them to see hot spots on a thermal imager or to record several EVPs. It gets worse this time. The book, written Jones and researched by Brightman is a page turner and may be one to read with the lights on, especially if you live in the Bridgewater Triangle area, a real anomaly to many. It’s been studied and there have been hundreds of investigations by many different individuals who would like to solve the mystery of what has happened the past 500 years. People go missing here just like they have in the Bermuda Triangle. Only Dark Gift brings a serial killer into the Frey. Who can it be? Is it a stranger or could it be a member of N.E.P.R? The killer is savage and ruthless and on a rampage. Two people are missing and then N.E.P.R. founder, in the book, John Bingham’s wife is discovered to be one of the two missing. N.E.P.R. tries to assist but Bingham is not sure who he can trust. One of the members of N.E.P.R. is a police office with the local department. Jones was a former police officer herself and brings her knowledge of law enforcement into the creation of this story and it shows. Be prepared to read with the lights on and doors locked. You never know where the serial may have gone until the end of the book. Could it be your neighbor? Who would you trust? Jones can be found on Facebook and said during an interview, “Dark Gift really brought my writing style out. This is my third novel and I liked the other two, but I love this one. While I edited, of course, I read it and I have to say it was very difficult because this book flows through the mind like a movie. This was very challenging for me, trying to write something for someone else. John Brightman, co-author, fed me information about the area and his paranormal investigative team, then I came up with the storyline and fictitious characters and descriptions. An amazing opportunity for me.” You can find Jones’ other books on Amazon and other books sites online. They are Jaded Visions and Jaded Feelings. Watch for another book to come out in this series about a young psychic. You can find out more about her books at East Texas Paranormal, the group she’s affiliated with for investigations. Brightman can be reached on Facebook and on the N.E.P.R. website. If you want to learn more about the Bridgewater Triangle there are many sites that can be found with a simple online search. Dark Gift by T L Jones a paranormal mystery into the Bridgewater Triangle with John Brightman. Parasylum II the Unleashed by psychic profiler Robbie Thomas the second in this series. Parasylum is the first book in the trilogy by Thomas. It will scare your pants off and leave you frantically waiting for the continuation in the second book. It’s here and ready to read. J.C. and his team are at it again. Beer’s flowing on the floor and hearts are pounding. Who wouldn’t have a pounding heart after listening to an EVP that said you are going to die. I said the first book in this series was a real page turner. Well, this book goes beyond that description. Be careful your eyes don’t go into warp drive to see what happens at the hotel to J.C. and his team. Can you wait to find out if the hotel investigated is a part of the “you can check in but you can’t check out hotel chain?” With the team from the first Parasylum back kicking up their heals in the second installment, it can only get better. With the way this series is going, will anyone have a heart strong enough for the third and final book? Will hotels book as many rooms? This time you have the gangster and mob of the Roaring Twenties messing with this group of paranormal investigators. Robbie Thomas has turned into quite the horror writer. It may make the reader wonder how many floors of the hotel they can stand to read about as events unfold. His book, Time Shift has been compared to Stephen King’s book, The Langoliers. If you want to keep up with what’s happening with Robbie Thomas you may want to visit his blog. Do you dare check in? Thomas has had premonitions and helped individuals, including law enforcement with cold cases. Thomas has a TV series, Psychic Profiler, coming to a TV near you soon. He has worked for quite a while to get this series up and going. It features cold cases, how he helps the families, working with them, evidence and law enforcement interaction. He is the author of several other books that can be found on his various sites or through online retailers. Still want more of Robbie Thomas? Visit him on Twitter or on Facebook and say hello. Thomas is known and respected by many individuals within the Dallas paranormal community. Robbie Thomas, psychic profiler and paranormal investigator has information on his books through his website. Djinn or Genie are they real or folklore? Do they come from the paranormal world or another dimension? Djinn have been around through religion and folklore for thousands of years. Most Americans often think of I Dream of Jeanie when they think of the Djinn or the genie that grants three wishes. They are mentioned in Islam, the Bible and other religious books. While the concept of the Djinn does not occur in the original Hebrew version of the Bible the word is used in Arabic translations. In the “Testament of Solomon,” he describes enslaving demons to build his temple. Then there was the novel so many read, “Arabian Nights.” Who didn’t wish for their three magic wishes? The earliest reference in literature to Djinn is found in “The Book of 1001 Nights.” Even the cartoons taught children to be careful of what they wish for because the wish would be granted quite literally. The name is spelled many different ways and they are called by a variety of names. Arab folklore and Islamic teachings describe them as supernatural creatures that occupy a parallel world alongside our world. It also states that Djinn, humans and angels make up the three sentient creations of Allah. The Qur’an states they are made up of smokeless flame and they can be good, evil or benevolent, according to Wikipedia. Some archaeologists within Middle Eastern cultures consider beings less than angels to be Djinn when describing stone carvings and other works of art. In “The Vengeful Djinn,” by Rosemary Ellen Guiley and Philip Imbrogno they write about unveiling the hidden agenda of Djinn. She discusses theories in quantum physics and explores the relationship between Djinns, demons, fairies, shadow people and extraterrestrials. (This author attempted to contact Ms Guiley for an interview but she was unavailable) In the book Djinn are described as, “A particular type of entity that exists between the multiverse of matter and energy. The Djinn exist in a dimension close to our own, and they seem to have the ability to interact with certain people who live here when it suits their purpose.” She goes into quite a lot of detail in the book and on the website for the book. If you go to About.com to obtain information about the Djinn this is some of what you will find, “Djinn: A spirit from Arabic mythology that can be either good or evil. The djinn are less powerful than angels, but can assume the shapes of humans, animals or whirlwinds. Belief in djinns has been wide-spread throughout the Arabian Peninsula and Central Asia; the spirits are even mentioned in the Koran. In fact, Satan often is believed to be the most prominent of the djinns. Belief in djinns may well predate both Christianity and Islam. In Zoroastrian Persia, before the coming of Islam, evil female spirits called jaini were thought to cause disease and misfortune. The word djinn comes from the Arabic “jinni,” or demon. Its root is janna, meaning “to cover or conceal.” In English, the word is often translated as “genie,” according to writer Kallie Szczepanski. We may never know is the Djinn or real but researchers are working hard to prove there may be alternate dimensions or even worm holes in many places and while open people are actually seeing into the other dimension, sometimes even interacting with beings there but calling them ghosts. A good example of alternate dimensions could be seen on the TV show “Fringe” as they travel back and forth between parallel dimensions. On this show there are the same people in the both dimensions, they look the same but the worlds and people are different. Some individuals claim there are six major tribes of Djinn, they are related to the Fay and are supposed to be older than mankind. 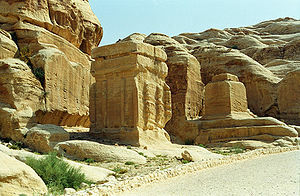 The tribes live in different area and will interact with people in different ways. It is believed that some Djinn can be very dangerous. Dependent on what reference you read there are at least three tribes and up to six. There is a movie on YouTube called “Reptilians, Demons and the Djinn” in ancient Mythology by wolovoman80 that provides additional information. Irfit are considered to be one of the strongest tribes and violent toward humans. Jann are allies of Irfit and more conservative. The Ghul are said to be corrupted by infernal powers. The Madrid are said to be the smallest of the tribes and the oldest. Shaitan are said to be master deceivers. There are those who believe they can bind Djinn to an object using a spell once they know the Djinn’s true name and possess a piece of the Djinn. An easy Google search will give you plenty of pages to peruse looking for spells. You can even buy Djinn bound jewelry on eBay by the hundreds. It is said that once bound a Djinn can be forced to do the bidding of the owner. Hence Aladdin’s lamp type of image books and shows. Djinn or Genie are they real or folklore? Do they come from the paranormal world or another dimension? What do you think? My house appears to be haunted, for what reason? Who knows? I’ve been waking up at all hours of the morning to footsteps, tapping, creaking, flickering lights… you name it. I am starting to become frustrated that something I can’t even see is controlling my sleep-wake cycle, not to mention scaring my family and me. I’m also fed up with the fact that whatever it is has my daughter too scared to sleep by herself in her room at night or even watch a movie in there alone for that matter. My daughter will not play in her own room despite the fact that I have repainted it a bright color and she and I decorated her mirror and created our own shelves out of wooden baskets. Everything she could want to play with is in her room but she will wait until I go in there with her before she looks for a toy that is not in clear sight. She and I have seen a tall shadow move across her doorway and my husband saw what seemed to be a smoky white shape of a small person in what looked like a dress zooms from the bathroom into the kitchen. I’ve splashed holy water over the doorways and windows, prayed, spoke to the ghost and told it that we don’t have enough time to pay attention to it and to move on, I’ve told it that it’s time for bed and not to wake me up, placed my shoes at the end of the bed facing different directions (a technique that I read confuses ghosts) and so on. I’ve talked to this spirit enough (when my daughter is not awake or in the same room of course) that I naturally spoke to it again and realized I did it in front of my husband and started to laugh at the insanity. I always had intentions to do something serious about this situation and but would chicken out. Right when I think the paranormal activity is at its peak, there will be another occurrence that tops it. I came very close to yelling at whatever is in my house when I heard a noise as clear as day that woke me up at 4:00 a.m. I put my daughter to sleep and fell asleep in her room, something that is becoming a pattern I would like to break before kindergarten! The sound was as if someone with large hands rapped on the hardwood floor with their knuckles sounding like a gallop, if you will. The part about this sound that got me freaked out was the fact that it was right next to me on the floor where my daughter’s pony is. This is a stuffed pony about 3 feet tall that she can sit on but it does not make noise at all or move. It sounds silly but it almost seemed like a bad joke. I eventually blew this off and drifted to sleep and was awoken by a noise identical to the rapping. It sounded like one knuckle at a time. This dreaded galloping noise was in the same spot again. This sound could not have come from anywhere outside of the room- it’s impossible. My husband was asleep on the couch but woke up to the sound of footsteps and my daughter, thank goodness, was fast asleep. They were home together today as we recently came back for vacation. I woke up early even though I hardly had any sleep and started getting ready in the bathroom at about 7 a.m. when all of a sudden I heard what sounded like a large plastic cup come flying out of the kitchen cabinet and on to the middle of the floor. I didn’t want to look, but I did nevertheless and saw that nothing in the kitchen had fallen to the floor or onto the counter. Could this spirit or whatever it may be want to taunt me? Could it be a child who wants attention? My husband said the white figure he saw was small enough to look like a child and was flowing as if she was wearing a dress at a quick glance. This scared the daylights out of us and saddened me at the same time. The creepy part about this idea is the fact that children will do just about anything for attention. Perhaps this is what is happening. Who knows why I would have a child ghost in my house because there was only one couple that lived there before my parents bought the house in 1976 and we never had any noticeable paranormal occurrences when I was growing up. The most common time for paranormal activity in my house is between 2:00-4:30 a.m. so I pretty much know when to be scared. I went to bed at 11:00 p.m. the night before last nervous about what events would occur that night as they seem to be inevitable. It didn’t take long to be woken up this time. It was 11:30 p.m. when my mattress started shaking. I couldn’t believe this was happening. It wasn’t like the scene from The Exorcist or anything where the whole bed levitates off the floor and starts banging up and down. This was a rapid side-to-side shake of the whole mattress as if some were trying to wake me up. I was fully awake and sitting up when the shaking finally subsided. I said out loud, “This is ridiculous”. I got up and dragged my husband with me to the living room to sleep on the couches. I woke up every half hour and the one full hour I slept was right before the alarm clock rang and it was time to get ready for work! I’m not kidding- this is annoying. I’m 35 years old and I can’t sleep because I’m scared of ghosts. Go tell that to a psychologist and see what they say! I have a psychology degree, by the way, and although I do believe in ghosts, I never actually though I’d be haunted by one on a regular basis. I am a very well adjusted individual so I know that what I’m experiencing is valid. At least I have proof that I’m not losing my mind as my husband and five year old daughter have both noticed the paranormal activity (of course we always give my daughter an alternate explanation rather than telling her what is really happening). I’ve had it. I need to prepare myself not to be afraid no matter what noises I hear or sensations I feel in the middle of the night. It’s time to show the ghost who is boss. I got ready for bed last night at 10:30 p.m. Assuming that this ghost could be a child, I didn’t want to scare it but I did want to lay down the law. I said firmly out loud (my daughter was sleeping), “It’s time for bed and even if you don’t sleep you need to be quiet. You will not wake me up tonight because I have to work in the morning and I am going to get some sleep”. My husband was laughing at me but I didn’t flinch. I showed absolutely no weakness though I didn’t come across as too harsh either. I did however sleep with the bottle of holy water under my pillow and placed my shoes in the doorway of the bedroom facing opposite directions for added comfort. I lay down with my hands behind my head and kept a very stern state of mind. I told myself that it is ridiculous to allow an entity to control whether or not I sleep at night, demanded to myself that I would get a good night’s sleep and will not be scared if I am woken up by another unexpected incident. There was either no activity last night or I was able to tune myself out enough to not be woken up. I don’t want to have to start an obsessive-compulsive pattern of things to do before I go to sleep, so I’ll test this out for a few days and then do nothing one night to see if it makes a difference. If the paranormal activity starts again, well, I guess I’ll just have to stick with my regimen. I’ll keep you posted! Time Shift the Paradigm by Author Robbie Thomas with parallel worlds, predictions, earthquakes, suspense, tragedy, history and so much more.This is not his first book and most likely it will not be his last. This one grabs your attention from the beginning and turns you into an addicted page turner. An interesting fact is that the premise behind the book and the events within its pages start with a tragedy that actually occurred. What gets better is that Thomas had the idea for the book before the earthquake in Japan. He was already working on the book and has documented this fact. So whats the premise behind the book? 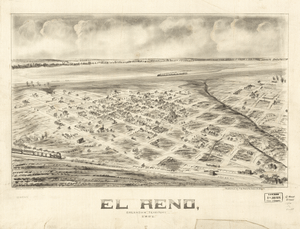 Here’s a chance to spend a few days at historic Ft Reno in El Reno, OK see some interesting vendors and listen to four East Texas Paranormal members speak. The Paranormal Times Paracon 2013 has been a long time in the making and Tanya McCoy is working hard to make sure it goes off with as many exciting events as possible during and after. McCoy and her magazine Paranormal Times plan on putting this part of OK on the map without any bad weather even though they are taking the conference by storm and swirling around attendees with many choices to pick over the weekend of Sept 21-22.
Who is speaking from ETP? There is founder, Martha Hazzard Decker, Psychic/Medium Maria Elana Santos, Author/Investigator T.L. Jones and Author/Radio Host Dr. Rita Louise. While you won’t find Dr Rita or Santos on our member page yet, they will be there soon. Tickets for the event are on Evenbrite. Get yours early. While there is not a lot of information on the ticket sales site yet, there will be and you can always contact McCoy or go to one of the other links to gather intelligence on what’s going to occur. Want to learn how to better your paranormal investigations? Want to visit a historic and haunted location? Want to get a gallery reading or learn more about research paranormal, haunted and historic places? Come to this event and have a good time. ETP hopes to see you there. Be sure to stop by their table and say howdy. Come and listen to four ETP members talk about different topics. Would you like to contact Martha Hazzard Decker or T.L. Jones or Maria Elana Santos or Dr. Rita Louise? Please be out guest and contact them direct. They all do different things on their own and with the group. They will speak at conferences and on radio shows. Have a specific question for them – send it their way or you can contact ETP direct with any questions either here or on FB.